Welcome to the first edition of the ‘How I Put My Type 2 Diabetes Into Remission’ series. 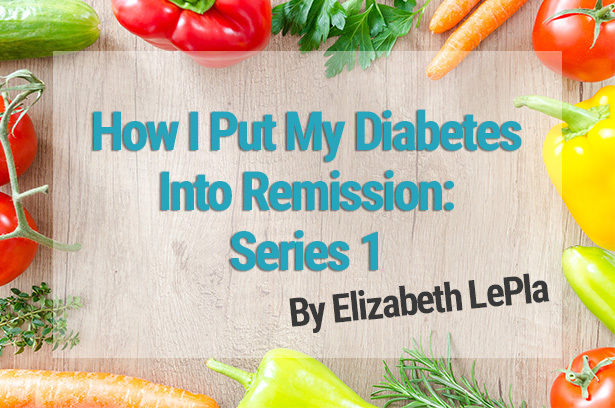 Elizabeth has kindly offered to share her inspirational story of how she put her type 2 diabetes (T2D) into remission. 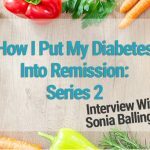 I truly hope that this series will help anyone who is struggling or has just been diagnosed with T2D. Together we can inspire, motivate and support each other. So, let’s get to it and find out about Elizabeth’s journey. I am 66 and have been overweight my entire life. Fat baby, chubby toddler, plump adolescent, and an overweight adult. On and off I had dieted, done a couple of periods of Weight Watchers – each time losing a stone or so…and then lapsing and the weight creeping up again. About 10 years ago I was sent for a glucose tolerance test, as a routine blood result showed raised glucose levels, but the test came back “normal”. However, around the same time, I heard a radio programme about healthy eating to avoid developing diabetes. The suggestion was to eat a low GI diet, and from then on, I made sure I ate my 5 a day (something I hadn’t really bothered about much previously). I ate seeded bread, had pasta, whole grain cereals, avoided ready meals (always made my own pasta sauces) and on the whole followed the government Eatwell guidelines. Ok, so I ate the odd pork pie and had an ice-cream a couple of times a week, but on the whole, I felt I ate a fairly healthy diet. Then last September I was diagnosed as having Type 2 diabetes, with a fasting glucose of 8.6 and HbA1c of 68. Given my “healthy” diet, the GP prescribed Metformin. 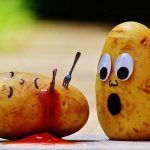 However, over the previous few months, we had seen a TV programme and read a couple of newspaper articles suggesting it was possible to reverse T2D by diet. I looked into it and bought Michael Moseley’s 8 Week Blood Sugar Diet book. 800 calories a day sounded a bit drastic, but for 8 weeks, I was determined to do it, in the hope it would indeed reverse the diagnosis. So, I decided not to take the Metformin, but change my way of eating. By Christmas, I had lost 3 stone, going from 14 stone 2lbs to 11 stone. My HbA1c was 35, and my long-standing high triglycerides had reduced to such an extent I was able to come off the medication I had been on for 25 years. And on top of this, I wasn’t hungry! The photo on the left June 2017. The photo on the right July 2018. Since then, I have lost another stone in weight, have gone down a total of four dress sizes, and now maintain my weight by following a LCHF (Low Carb High Fat) way of eating. And whereas previously I had never thrown out clothes that had become too big, because a little voice inside said (quite rightly) that sooner or later I would need them again, this time, I know I am never going to put the weight back on. My diabetes is in full remission, and I don’t want a future worrying whether I am going to lose a leg or my eyesight. But above all, I really enjoy what I eat! Unlike standard “diets”, where there is a sense of constant denial, with LCHF there are no such feelings. We just eat good quality real food. If you would like to connect with Elizabeth, you can follow her on Twitter @ElizabethLePla. I want to thank Elizabeth for sharing her story and congratulate her for her incredible results! 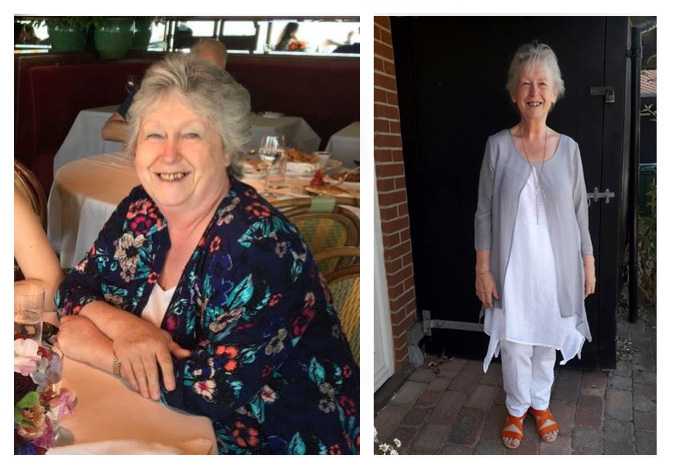 Within less than a year she has said goodbye to 4 stone, 4 dress sizes and her diabetes.